Summer is officially here!!! You should not be worrying too much about how you look butttt you still want to feel confident, proud, and happy in your beautiful self. 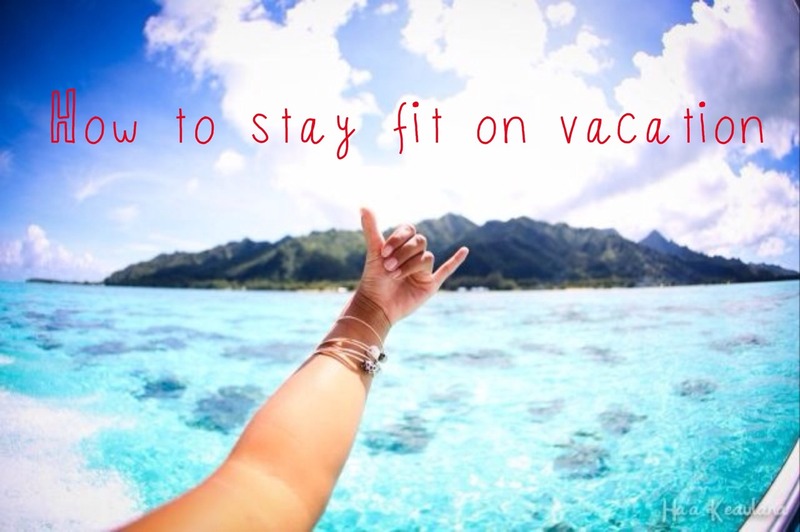 So, let’s go through my top five tips to stay healthy & fit this summer. THE SUN IS OUT! yay! The sun boosts your mood and gives you a beautiful glow…but be smart about it. I do not care if you are only running errands or if it is a bit foggy outside or if your foundation has SPF 15. The statistics for people in the US that have skin cancer are shocking. It’s better to be safe then sorry. Stalk up on a face and body sunscreen of SPF 30 or higher. Right as you wake up in the morning is the best time to set the tone for the rest of the day (also make sure you got a good amount of pillow-time the night before). I recommend a morning reflection/mediation. Yes, I get it, you are in a hurry. This could be 10 minutes some days, and others a mere 30 seconds. Just sit your booty down, breathe, and think about the energy you want to accept and bring forth throughout the day ahead. Stay active whenever you can! Do squats while brushing your teeth, take the stairs, do calf-raises while waiting for the bus, carry your groceries to your car, bike instead of drive. If you are on vacation, use nature to your advantage: go on a run, climb trees, swim. You CAN stay toned with your own body weight! Amp up the H2O. Your body literally RUNS on water, your cells would die without it! Aim for 2-5 liters in a day. Drink a liter when you wake up, another at lunch, half a liter in the afternoon, and another liter at dinner. BAM! 3.5 liters down and in the system. It really is that easy. Respect the Earth and carry your liquid in a reusable bottle or mason jar. If you are not a water-fan, i suggest you befriend H2O, and quickly. Or drop in some citrus fruit to add flavor. Eat the sun…and the stars. My best suggestion for a clean diet is first, the main portion of what you eat should be the cleanest foods out there, fruit and veg. Then go from there; meat, fish, grains, spices, eggs, seeds, and nuts. If you’re craving some stuff that isn’t the best for your body, I like to create fun recipes with ingredients that replace the bad stuff and are A LOT better for the body. Hope these tips helped you and remember to have a fun summer! Recently I have been traveling like crazy. Which would explain the fact of my unexplained absence. Currently I am in Washington DC and, with the help of the mother, I have collected a few tips on how to stay fit whilst on vacation! Skip the bread at the restaurant. At most restaurants you can simply just ask for them to not bring the bread, then you won’t be thinking about it. Uh-oh the sweet tooth monster is knocking at your door…LET HIM IN! Have a bite of dessert, just not the whole thing. Always get in a healthy breakfast; eggs or a yogurt parfait is the way to go! Choose one thing on your plate to eliminate. Skip the cab and walk! Not to mention it will save you a few bucks, J-crew here I come! !